This heavy 24-inch-long bright sterling silver bead chain is the widest gauge I’ve seen at 3mm. I’ve finished the chain with a sterling connector stamped .925. 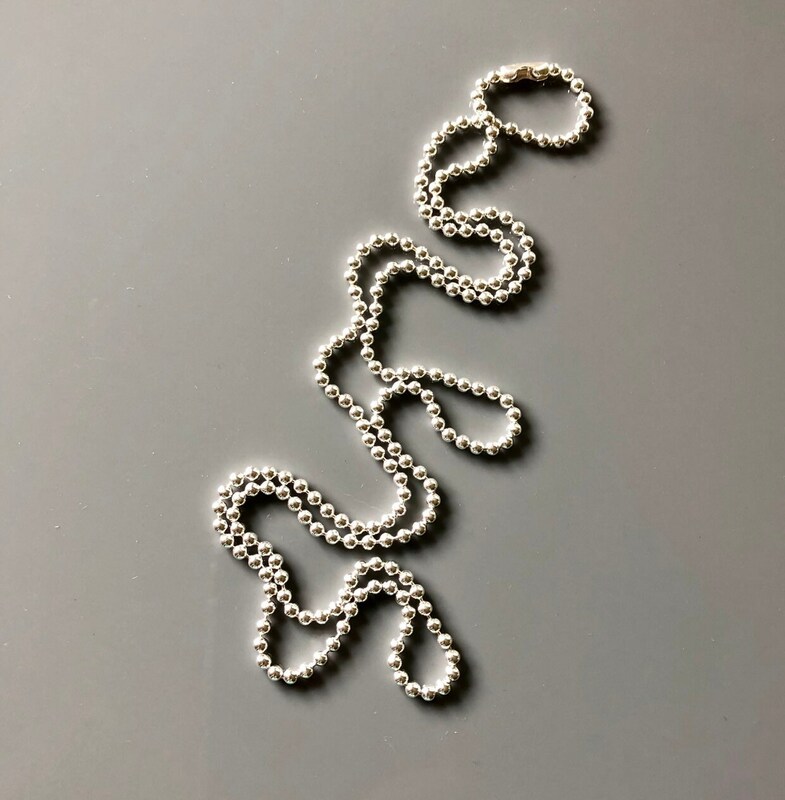 Wear this long chain as is, or open one end of the connector and add your favorite pendant. I hope to be able to offer this chain in other lengths in the near future.